The “Ullman Indirect" is a smartphone app designed to improve the quality of smartphone fundoscopy. 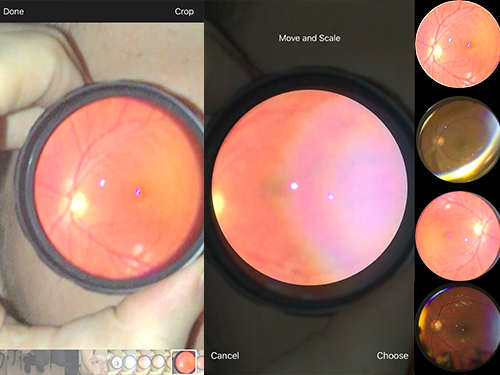 My goal in creating this app is to improve retinal examination and imaging for the underserved communities where standard fundus photography is not readily available. 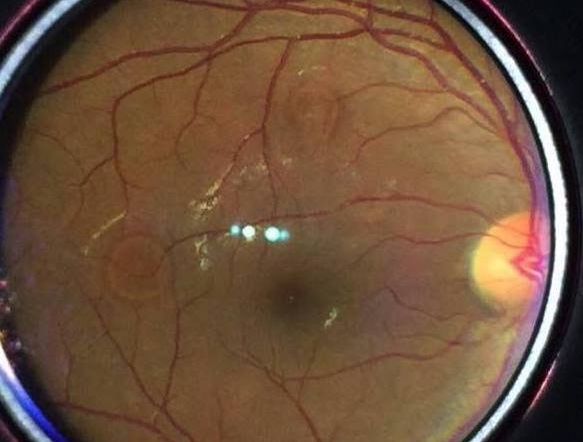 I hope, as smartphone technology improves and the app is modified, retinal evaluation, imaging and sharing of this information via a smartphone will be cost-effective and commonplace and result in improved patient care. I created the “Ullman Indirect” with the help and encouragement of my fellow ophthalmology residents at the MedStar Georgetown University/Washington Hospital Center. I am committed to keeping the app, and future updates and improvements, free to download. Please contact me with any questions, comments or suggestions. We are supported by a generous grant from Prevention of Blindness Society. 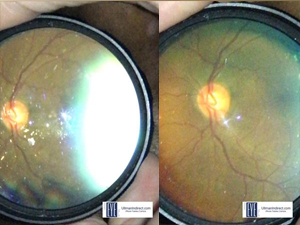 The 'Ullman Indirect' is now used by eye care professionals in over 30 countries! In the iOS version, users can control the torch brightness to improve patient comfort. In the iOS version, crop stills to protect patient privacy and improve picture quality. Users can adjust exposure to reduce glare and improve image quality. In the iOS version, users can switch between right handed and left handed controls. Users can rotate video and images 180 degrees for correct anatomic position.